The most visible components of a traffic signal installation are the various vehicular and pedestrian signal heads and their supporting structures. Most members of the motoring public are unaware of the complexity of controller, detection, and systems elements of a signal installation, but are familiar with the appearance of the signals themselves. Although the three-color vehicular signal face has been around for more than 50 years without significant changes, new materials and manufacturing techniques have made them easier to maintain and install. Pedestrian signals have undergone several design changes since there initial use, including the colors and design of their indications. Mounting locations and techniques have also changed over the years, although with substantial variations by geographical area. Design requirements for vehicular traffic signal heads are mandated in the MUTCD (Manual of Uniform Traffic Control Devices) and are also addressed in standards published by ITE (Institute of Transportation Engineers). 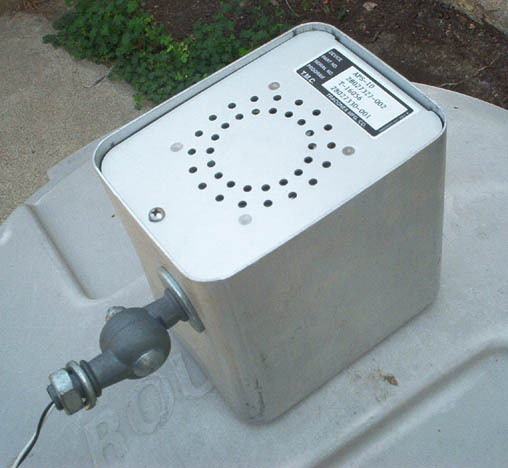 Signal head housings can be constructed from either cast aluminum or plastic (typically polycarbonate) materials. Each alternative provides it's own set of advantages and disadvantages. Aluminum signals must be painted, both at the original time of manufacture and at regular intervals to maintain an attractive appearance. Plastic signal heads have the color molded into the plastic material, and do not need to be painted during the life of the installation. Plastic signals are lighter than aluminum signals, an advantage when it becomes necessary to add signal heads to an existing support structure. However, being lighter, plastic heads will swing in the wind more when used in a free-swinging overhead span-wire installation. 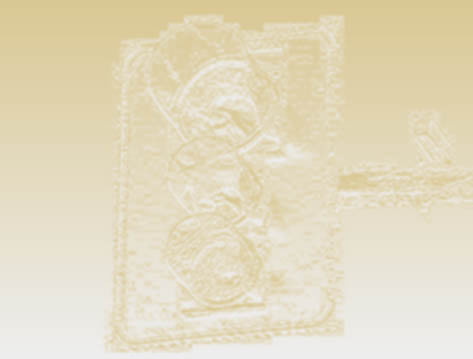 Plastic signals typically don't have the strength of aluminum signals, and have shown a tendency to break when used in either a top or bottom-mounted rigid installation. An example is that some states that use the span wire installation require that the top section of the signal, where stresses are higher, be aluminum, although lower sections may be plastic. Visors are typically made of the same base material as the housing. Yellow plastic visors are usually coated with an opaque material on the inner surface to eliminate light transmittance through the plastic material. Traffic signal lenses are designed to add color and direct light to the approaching motorist. The outer surface of the lens has a convex shape and is smooth to avoid the collection of dirt. The inner surface of the lens is concave and is patterned to best redirect the light from the lamp and reflector to the roadway approach. 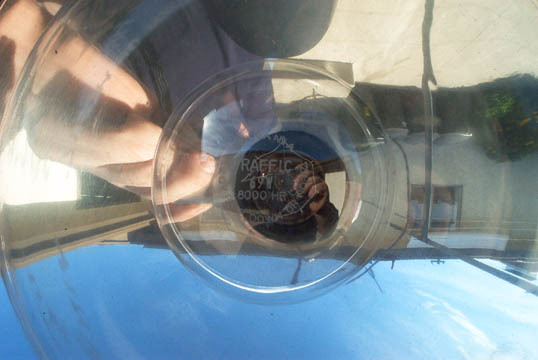 The lens is designed to be oriented in relation to the roadway, and is usually embossed with the word "TOP" to indicate the proper orientation. Lenses can be made from either glass or plastic material. As was the case with signal housings, each material has it's own set of advantages and disadvantages. Glass lenses are heavier than plastic lenses, a drawback if weight of the signal head is a concern. Glass lenses will break if hit by a stone or a bullet, whereas plastic lenses will usually remain intact after all but the most severe impacts. Although both materials can meet or exceed the specifications for light transmission, many engineers feel that the glass lens provides a better light transmission, and thus a better indication. Some plastic lenses tend to discolor, and even melt, when larger wattage bulbs are used in indications that are illuminated for long periods of time; a prime example is the arterial green indication at very low-volume semi-actuated intersection. Arrow lenses can either have the arrow pattern embossed, with uniform prismatic diffusion surface and opaque masking on the inner surface of the lens, or masked, with an opaque coating, on the outer surface of a standard lens. This second option requires care in selecting the proper orientation of the lens, because an upside-down lens will provide significantly less intensity. A third option for providing an arrow indication is the use of a metal mask, the same size as the lens and with a cutout arrow symbol. 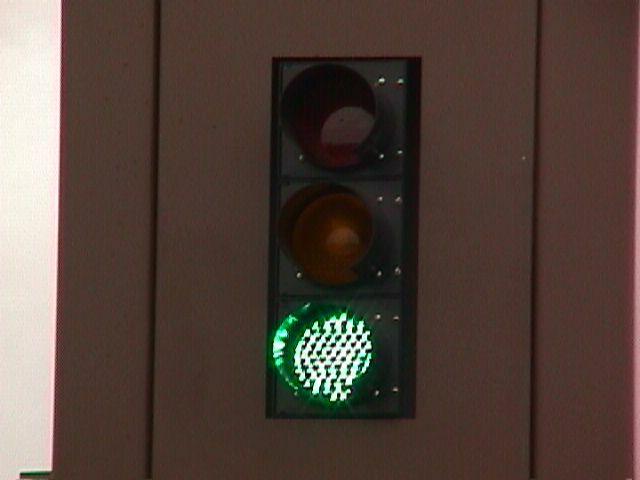 The mask is placed in front of a circular indication lens, and can be rotated in any direction without concern about the intensity of the indication. Light Center Length- The dimension from the center of the filament to the tip of the base of the lamp. An improper light center length will result in the uneven illumination of the signal lens. Rated "Initial" Lumens- The average amount of light produced by a sample of lamps operating at rated voltage, after having been seasoned to 1/2 to 1 percent of rated life. Rated Life- The average of burning hours for a sample number of lamps operated at rated voltage and defined operating conditions. 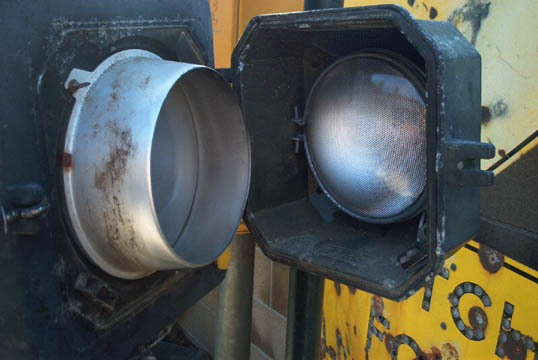 All traffic signal lamps should be designed to provide a minimum rated life of 6000 hours. Rated Voltage- The design operating voltage of the lamp. Operating a lamp at higher than rated voltage will provide higher light output, with reduced life; operating a lamp at less than the rated voltage will extend life at the expense of light output. Most filaments for traffic signal lamps have a "U" or "W" design; to maximize the life of the bulb, the open side of the filament should point up, so that one section of the filament is not heated by the section below it. The reflector directs the light output from the lamp forward through the signal lens. The reflector has a parabolic shape, and is designed for the lamp filament to be located at the focal point of the parabola- thus the need for a specific light center length of the lamp. The reflector, working with the visor and lens, is designed to minimize the "sun phantom" effect. Reflectors are available in three materials: mirrored glass, specular anodized aluminum, and metalized plastic. Mirrored glass usually gives a more intense indication, but is subject to breakage by impact and damage by water intrusion into the head. The aluminum reflector is lighter in weight and will not break, although corrosion is occasionally a problem, particularly in salt spray areas. 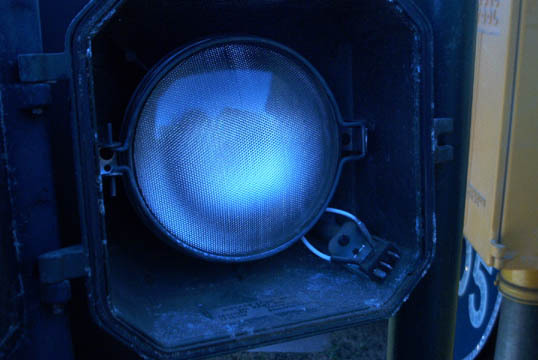 The plastic reflector has not seen significant usage in vehicular signals, although it has been used in some pedestrian signals. Lamp sockets must be made of a material capable of resisting the heat generated by the lamp, and are designed to rotate to permit the proper orientation of the lamp filament / focal point relationship for maximum illumination of the lens. LED retrofit units are rapidly replacing the lens / reflector / socket combinations in signals with one high intensity / energy-efficient unit. Typically these units are 10-20 watts on average and use LED clusters to project the desired color. Most of these units are rated for 10years...quite a savings on bulb replacement. Example of LED retrofit in signal. Programmed visibility (PV, or optically programmed) signals are designed to direct their light output to user-specified sections of the roadway approach. Typical installations include adjacent-lane programming, in which an indication for one lane is to be veiled from an adjacent lane; skewed-intersection programming, in which geometric conditions would allow motorists on one approach to see indications for the other approach, if standard signals were used; and closely spaced intersections, in which a far-side indication conflicts with a near-side indication. 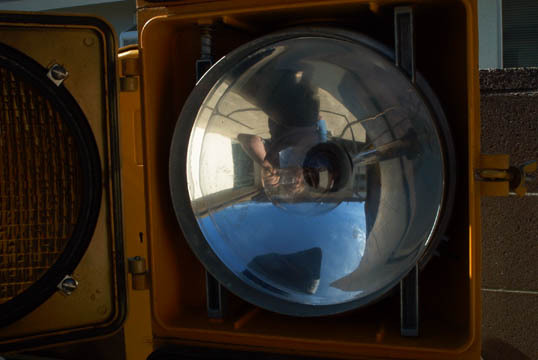 Each section of the PV signal has a flat front lens with an internal fresnel lens pattern, two convex lenses (one clear and one frosted) sandwiched together at the rear of the signal, followed by a sealed beam mounted in a rear access door. Opening the door and removing the frosted lens permits the user to view the roadway approach, and, using a special foil-based adhesive tape, mask out the areas of the roadway on which motorists should not be able to see that indication. Of course, these signals require a rigid mounting to be the most effective. 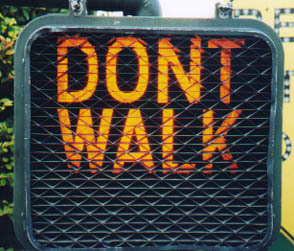 Signals for pedestrians include a number of different legends, housings, and illumination techniques. Two sets of legends are defined in the MUTCD- word legends, with an orange DONT WALK and a white WALK; and symbols, with an orange raised hand and a white walking man. 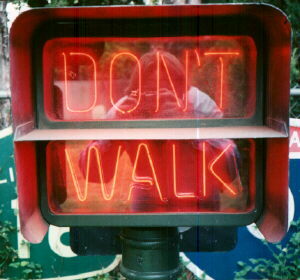 The symbols, which were first approved in 1977, are the most popular because of their better legibility and recognition by non-English speaking pedestrians. Two primary types of signal housings are available, one uses a separate section for each indication; the other combines both indications in a single housing. The first type uses incandescent lamps and is virtually identical to the vehicular signal. It comes in two standard sizes, 9 inch and 12 inch. 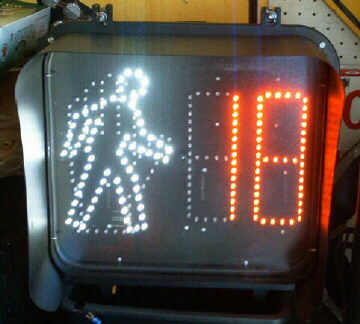 The smaller 9 inch unit is limited to crosswalks less than 60ft in length. The single housing design has been adapted for incandescent, neon, fiber optic, and LED illumination techniques. Incandescent word legend designs use a three-line legend lens (orange DONT/ orange WALK/ white WALK), two lamps, and a compartmentalized reflector to illuminate the appropriate displays. Neon, LED, and fiber optic word legend designs use a clear two-line (DONT/ WALK) lens, with the light source providing the color to the appropriate displays. Symbol legends can be illuminated by any of the four techniques. Fiber optic, LED, and neon displays can provide a substantial energy saving over the incandescent displays; they also reduce the potential for the "sun phantom" effect. However, the incandescent fixture, being electrically simpler, may be easier and less expensive to maintain. A louvered "egg crate" visor can also help to reduce the "sun phantom", and eliminates the need for a longer standard visor. However, egg crate visors are subject to accumulations of snow and ice that can block the indications. Audible signals for the visually impaired have been used for a number of years with limited success. Most of these devices consist of an electronic "bird in a box" with "chirping" sounds for one direction of travel and "coo-coo" sounds for the other direction. Countdown pedestrian signals are the newest rage. 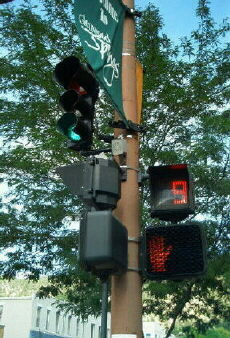 With these signals the actual time left necessary to cross is displayed in seconds. All Contents © 2001-2015 by Signalfan. All rights reserved.